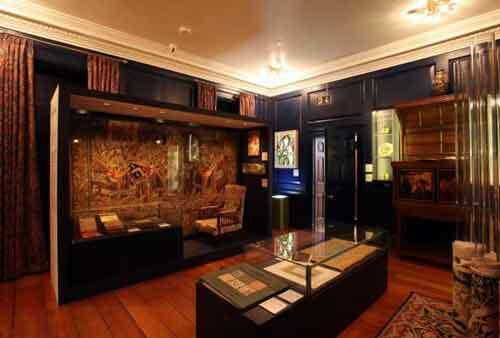 The William Morris Gallery in Walthamstow, north east London, provides a fitting tribute to the renowned Victorian artist, designer, craftsman, writer and social campaigner. 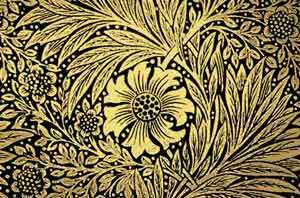 Any admirer of the work of Morris and the whole Arts and Crafts movement will delight in the breadth of this world class collection. Here you will find stained glass, ceramics, fabrics, metal work, furniture, book design and of course the famous Morris wallpapers. You will enjoy the intricate and flowing designs inspired by nature including birds, plants and animals that William Morris became so well known for. 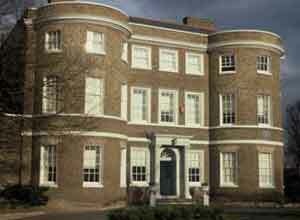 The William Morris Gallery is housed within the large 19th century home in north east London where William Morris grew up. It has recently benefitted from a multi-million pound redevelopment, thanks largely to a Heritage Lottery grant. The development has coincided with improvements made to the facilities and landscaping of the adjoining Lloyd Park, a stroll around which should not be missed by anyone visiting the museum. There are beautiful mature trees and flower beds, a cafe, bowls, tennis and skateboard parks and you can enjoy viewing the moat which Morris himself played in as a child. The museum itself houses nine gallery rooms which trace Morris's development as an artist and craftsperson. You can gain a greater understanding of his belief in the value of handmade objects and of his commitment to high quality craftsmanship. 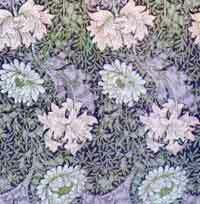 The variety of objects on display is a testament to the wide range of art and craft techniques that William Morris became an expert in. His collaborations with other artists and designers of the time is well represented, including the establishment of the successful firm of Morris & Co and of the Century Guild. William Morris's revolutionary ideas and social campaigning are also discussed and illustrated, as are his life as a writer and poet. I understand a plan is to regularly change some of the exhibits, which will mean that repeat visits to this museum should be well worth while. 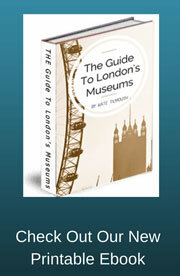 There is a brand new Tea Room within the extended museum that has large glass windows looking out over the park. A conservatory style glazed roof with Morris inspired patterns adds to the brightness of the tea room, and you can enjoy a variety of light meals, cakes, sandwiches and hot and cold drinks including beer and wine. A gift shop is housed within the main entrance hall which has regular displays from modern contemporary designer-makers and crafts-persons, plus a wide range of William Morris inspired gifts, books, cards and children's craft kits.